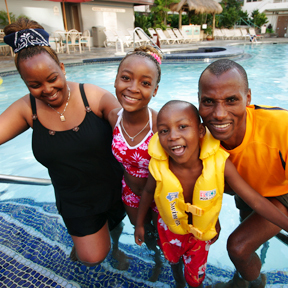 HONOLULU MARATHON » Reigning Honolulu Marathon champion Jimmy Muindi enjoyed the pool at the Outrigger Reef on the Beach with wife Lucy, daughter Stella and son Kevin this week. Its senior-most participants love the thrill of the race. Retrofitting buildings and upgrading shelters are among the items in Lingle's proposal. A church concert in Kaimuki celebrates the organ's restoration. Jimmy Muindi's year is never complete without a trip to -- and a win in -- the Honolulu Marathon. After 81 years of all-female enrollment, Saint Francis School plans to take baby steps into a coed future. A web of trails on Mauna Loa and Hualalai has been proposed.